On Saturday the SIPP of choice for my Company Pension transfer was heading towards Interactive Investor and their annual costs of £176. Valued reader comments plus some more DYOR has instead led me to Hargreaves Lansdown. Before you Comment that they are an expensive percentage fee broker/platform with annual charges of 0.45% let’s run through my thinking. gilts & bonds and don’t add any funds Hargreaves Lansdown become a percentage fee broker/platform but with a capped maximum annual expense of £200. I can work within that no fund criteria. So now once your pension is greater than £44,444 that 0.45% starts to reduce. Transfer £100,000 and it’s down to 0.2%. On top of that John and Cerridwen also raised some red flags against Interactive Investor. Secondly, even though the SIPP is now capped I hear you saying that it’s still £24 a year more expensive than Interactive Investor and sweating the small stuff matters. This is where it gets interesting. Hargreaves Lansdown currently have a promotion running until the 12 May 2015 that provides a cash back incentive for transfers of Stocks & Shares ISA’s, Cash ISA’s, Junior ISAs/Child Trust Funds (CTFs), Funds, Shares and Pensions. They also advise that “if you need more time to decide please let us know and we will extend this deadline for you (up to three months for ISA, fund and share transfers, and six months for pensions).” Transfer big sums and it’s a significant amount. Between £100,000 and £124,999 and its £250 cash back which means you’re now ahead of Interactive Investor’s current annual charges for 10 years. Transfer £125,000 or more and its £500 which puts you ahead for 20 years. Dealing costs for me are going to also be £1.95 more expensive than Interactive Investor but I think I can set the SIPP up with 9 trades which would take a bit under 1 year off that benefit. I highlighted in Saturday’s post that the reason for not just using my current YouInvest SIPP was the all eggs in one basket risk. I currently have some of my HYP in a Hargreaves Lansdown Vantage Fund & Share Account and so adding a Hargreaves Lansdown SIPP will increase my exposure with this provider from 6% to 21%. I’m ok with that level of risk. So by switching from Interactive Investor to Hargreaves Lansdown I can save some money while also moving to a wrapper that I know and am happy with while keeping provider risk to acceptable levels. The Company Pension contains the State Street Global Advisers (SSgA) Europe ex UK Equity Index Fund with annual expenses of 0.6%. Within the SIPP I’ll buy the Vanguard FTSE Developed Europe ex UK UCITS ETF (VERX) with an Ongoing Charges Figure (OCF) of 0.12%. The Company Pension contains the State Street Global Advisers (SSgA) Japan Equity Index Fund with annual expenses of 0.6%. Within the SIPP I’ll buy the Vanguard FTSE Japan UCITS ETF (VJPN) with an OCF of 0.19%. The Company Pension contains the Scottish Widows Property Fund which is focused on UK Direct Property. Annual expenses are 0.761%. The obvious low cost ETF choice within the SIPP would be the iShares UK Property UCITS ETF (IUKP) with its Total Expense Ratio (TER) of 0.4% and a current dividend yield of 1.89%. I’m going to deviate here to save myself some expenses and to try and increase my dividend yield a little. A little more work to do here but current thinking is to add a selection of Real Estate Investment Trusts (REIT) covering Retail, Offices and Industrial. Current thinking is 1/8 Hansteen (HSTN), 1/4 Segro (SGRO), 1/4 British Land (BLND), 1/4 Hammerson (HMSO) and 1/8 Primary Health Properties (PHP) which would provide a forecast dividend yield of 3.8% at current prices. That’s 12% above the current FTSE100’s 3.39%. The Company Pension contains the State Street Global Advisers (SSgA) Index Linked Gilts Over 5 Years Index Fund with ridiculous annual expenses of 0.6%. Across my total portfolio my “bonds” allocation is currently all Index Linked Gilts or NS&I Index Linked Savings Certificates. Combined they now make up 24% of total wealth and are now well into 6 figures when measured in £’s. Within the SIPP I’m therefore going to take the opportunity to diversify my bonds allocation further with some Corporate Bonds in the form of the iShares £ Corporate Bond ex-Financials UCITS ETF (ISXF) with a TER of 0.2%. 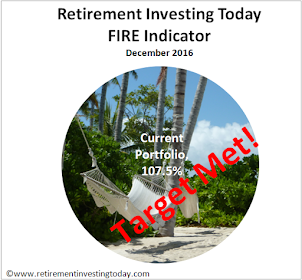 The Company Pension contains the State Street Global Advisers (SSgA) Emerging Markets Equity Index Fund with annual expenses of 0.87%. Within the SIPP I’ll buy the Vanguard FTSE Emerging Markets UCITS ETF (VFEM) with an OCF of 0.25%. Investment product expense savings combined with the additional £200 annual SIPP charge will see the total annual costs of this portion of my portfolio reduce from 0.67% to 0.29% at current valuations. On investments of £100,000 that’s an annual saving of £380. Not bad for a few hours work. One constraint I have is that my wife will, in all probability, become my widow, and so I have to arrange things so that she can run both her SIPP and, when she inherits it, mine. Those are both at HL, chosen partly because of the quality of its service. To make matters easier for her, I'm also moving one of her ISAs there (capped at £45 p.a. if funds are avoided). Having three different "pots" to manage shouldn't be too hard on one good platform. I also intend that she have ISAs on two other platforms: I just have to hope that three platforms in total won't be too much of a task for her. This all involves some consolidation of ISAs: more will follow as various fixed term cash ISAs mature. I am under instruction to simplify, which mainly means close accounts. Unfortunately, to take advantage of interest-bearing current accounts means opening some new ones, but still our account-count will be much lower than a couple of years ago. 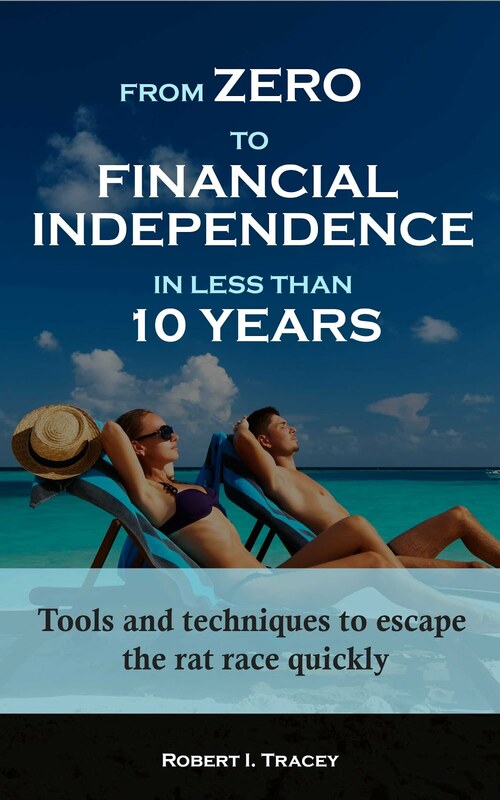 "The next trick is to work out how to take action now that will safeguard her money when she becomes old and muddled, and vulnerable to crooks." I'm hopefully a long way off either myself or my better half becoming old and muddled but I'm wondering whether at some point an annuity could actually start to be worthwhile for those without someone they can trust to help them. Sure they're expensive but they're probably lower cost than being fleeced by "crooks". Of course you then have no capital to pass on at death. If leaving a legacy is your aim then maybe something like the Vanguard LifeStrategy in appropriate NISA/SIPP wrappers just sitting there spinning off dividends also wouldn't take much work. Some also think that IT's could be worth they're weight in gold by this point also. "I'm wondering whether at some point an annuity could actually start to be worthwhile." I look on deferring the State Pension as effectively buying an annuity. We'll also look at buying her a 3ANIC pension top-up, though that is poorer value. Commercial annuity rates are pretty dismal. I have a cutting somewhere about deferred annuities in the American style, where - for instance - you could stump up now and the annuity would start at, say, her 85th birthday. I wonder whether they'll become available here. Great call on getting the cashback from HL and what a fantastic reduction of total annual costs from 0.67% to 0.29%! I've got a mixture of funds, ITs and shares with them right now but as the value of my portfolio is very small, the fees aren't astronomical - all bar one of the funds is a tracker, with only one active so I've cut down on those sorts of fees. When my portfolio is of a substantial size, I will go down the ETF route and invest more in ITs. The good thing is that when I come to do it, selling funds within HL is free of charge, so I'll only have to pay to buy. Thanks for sharing weenie. I wish you much success with your journey. Thanks RIT - are you able to stay invested when you make the transfer? Do HL accept State Street or will you have to transfer with cash? Will you spreadbet to keep your chosen exposure? The transfer will have to be a cash transfer. I won't spread bet my lost exposure. I realise this will have me out of the market for a short while which could benefit, hinder or do nothing to me. I just hope the risk is minimised by the transfer being pretty quick. I've moved an employee GPPP (different insurance company) to YouInvest back in 2012 and on that occasion I was out of the market for less than 2 weeks. I use both iii and YouInvest for same diversification reasons you wanted. SIPP and ISA in both. No major problems. iii is a bit slow but I have no big complaints. I kept the old fee system with iii so I only pay £120 per yr + VAT but I do not get the trade credits. Because I have regular monthly cash going in and mostly passively invest (certainly within the SIPP), I almost always use the regular investment option where trades are just £1.50 but fixed to a specific day of the month. I buy something with the SIPP cash generally once a month in this way so my trade fees are low (£20/yr if disciplined not to be active). I think it works out about £50 cheaper per yr than the new fee structure when you include VAT. The regular investment details can be changed quickly on line. Works for me so far. For you, looks like you found a good deal with the cashback from HL. I used to be with them; certainly they seem to have good customer service. I resented the amount of my fees being wasted on glossy active rubbish being regularly posted out; things may have changed. I moved from them to YouInvest when everyone was forced to go clean and they dumped a huge fee hike on passive investors. Just to add re ISAs, YouInvest for me, iii for my wife. One would say your costs are high but you're looking long term. It's no surprise, you're planning this way. If costs are more advantageous on the long run, why not transferring. I'm very new to the whole DIY Investing and platform choosing world but have recently opened a SIPP with Alliance Trust as they came out as the lowest cost flat fee provider in a couple of financial articles and blogs that I read. I didn't uncover any negative comments about their service either so was comfortable with that choice. However, none of the contributors in this thread mentioned Alliance Trust as a potential SIPP provider so I just wondered if anyone had anything to say good or bad or indifferent about them before I transfer my company pensions totalling well north of £100K to them? We used them in the 80s and 90s when their service was paper-based. High quality and economical they were. Nowadays I don't like their site and am generally much less impressed with them. On the other hand, I suppose if something goes wrong, ATS is eventually backed by the capital pile of Alliance Trust. Which of the other providers has such a comforting position? 1. I haven't carried out a formal analysis but was surprised to hear about a £200/year fee cap. It doesn't feel like that to me. 2. They take fees all the time, monthly at a guess, so every time you log on there's another bit gone, rather than once or twice a year. 3. Yes, I received a bonus for transferring investments in, but could I find it on screen? No. Eventually someone on the 'phone admitted it wasn't shown and, I think, transferred it to where I could see it, where it became clear that it had been another pot that HL had been taking fees from. My current favourite is ShareDeal Active.